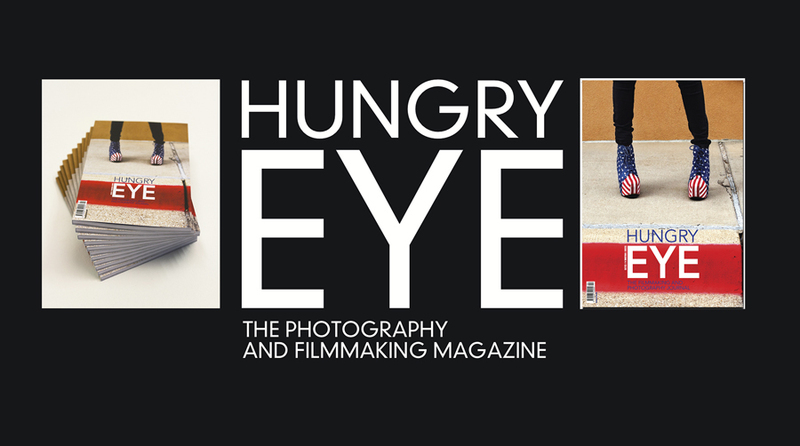 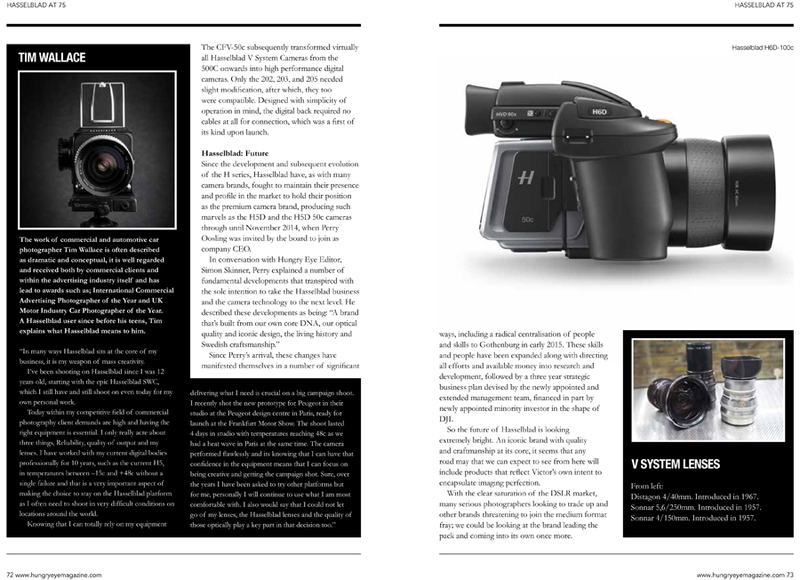 This week Hungry Eye Magazine launched its latest issue that has a feature on Hasselblad reaching their 75th anniversary. 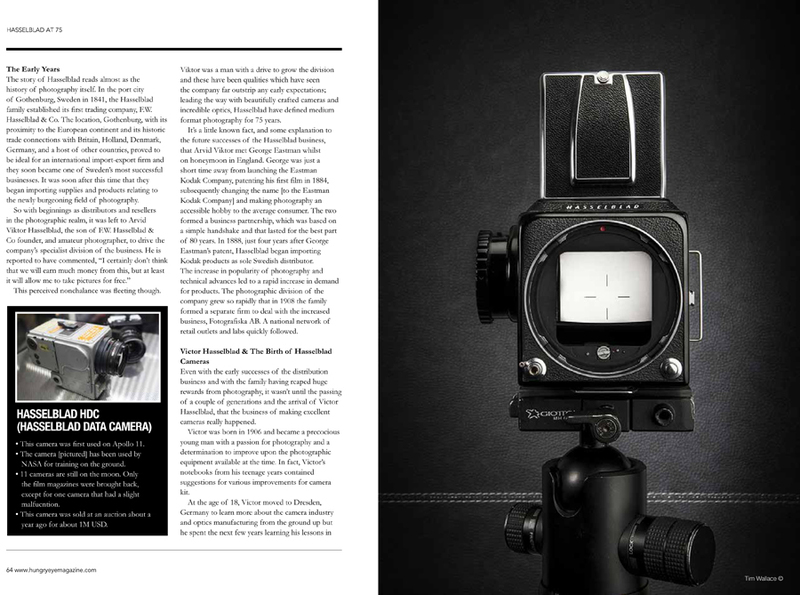 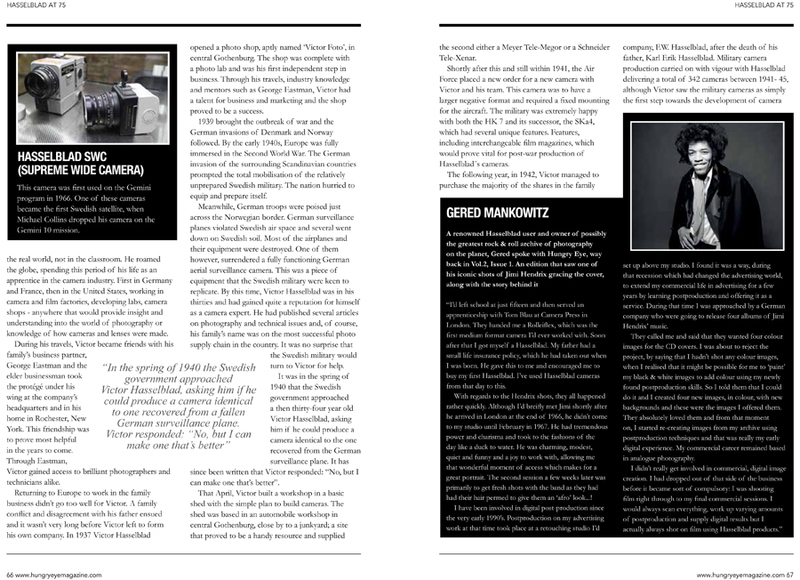 The feature discusses the history of the company and its infamous camera's, words from photographers such as TIM WALLACE, TOM OLDHAM, and GERED MANKOWITZ as well as featuring some images of vintage Hasselblad camera models that we provided for the Magazine from Tim's own personal collection of Hasselblad film camera's. 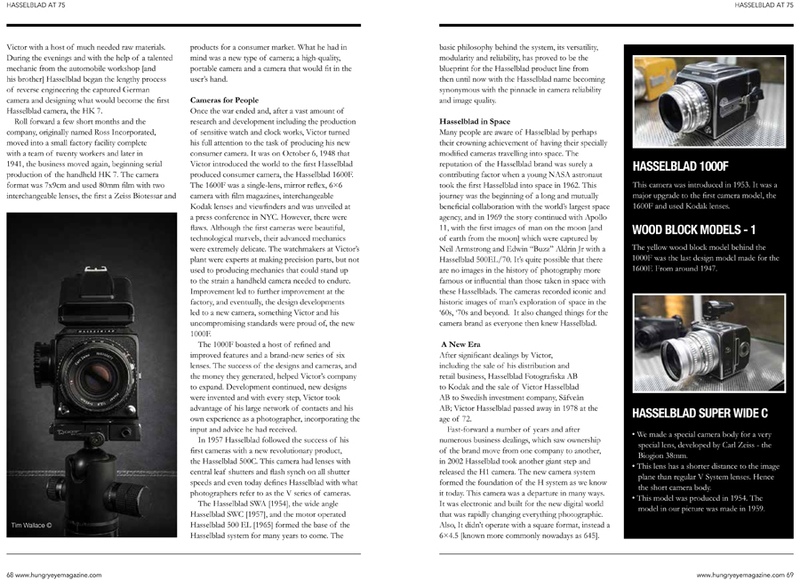 The work of commercial and automotive car photographer Tim Wallace is often described as dramatic and conceptual, it is well regarded and received both by commercial clients and within the advertising industry itself and has lead to awards such as; International Commercial Advertising Photographer of the Year and UK Motor Industry Car Photographer of the Year. 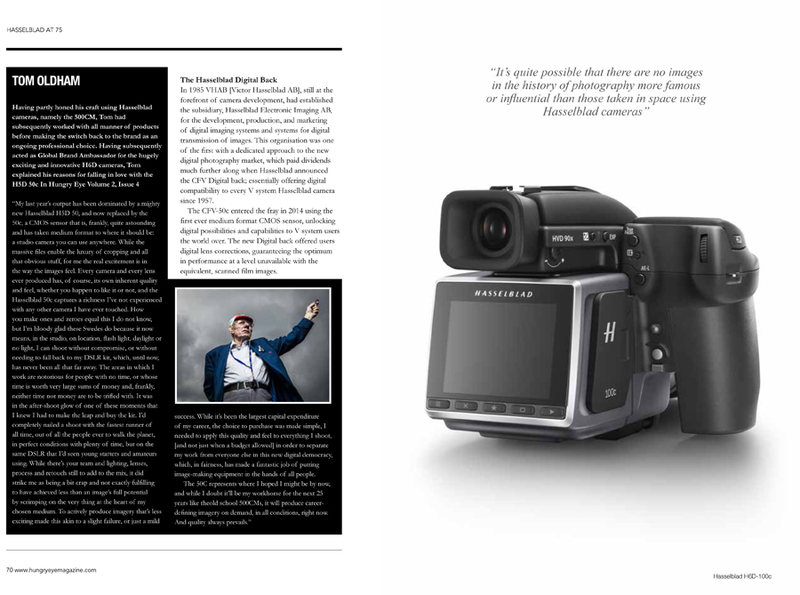 A Hasselblad user since before his teens, Tim explains what Hasselblad means to him. 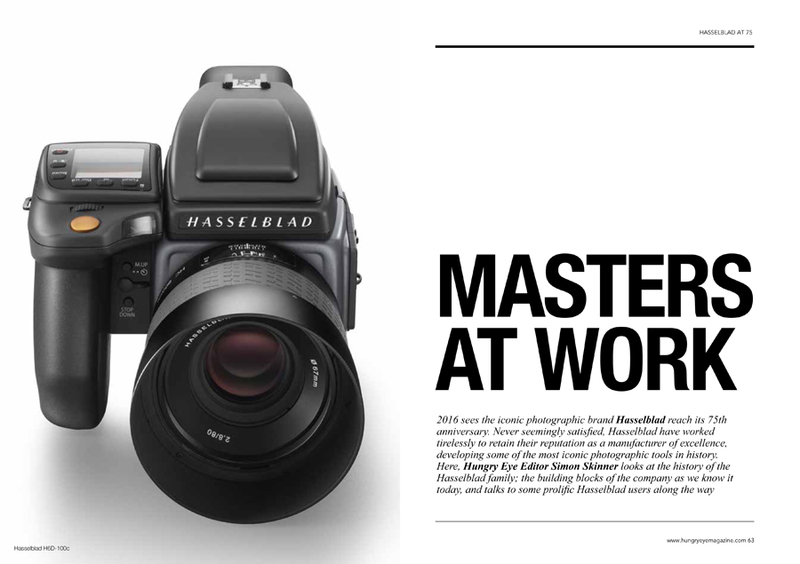 “In many ways Hasselblad sits at the core of my business, it is my weapon of mass creativity.